The Dodgers spent heavily to retain their top free agents while also adding several new faces to what they hope will be a World Series-contending roster. Despite a plethora of injuries last season, the Dodgers still won their fourth straight NL West title and advanced to the NLCS. It’s quite possible that even a moderately-healthy Dodgers club could’ve been good enough to win it all last year, and since president of baseball operations Andrew Friedman was very impressed by his team’s chemistry and work ethic, the Dodgers’ main offseason focus was to get the band back together. 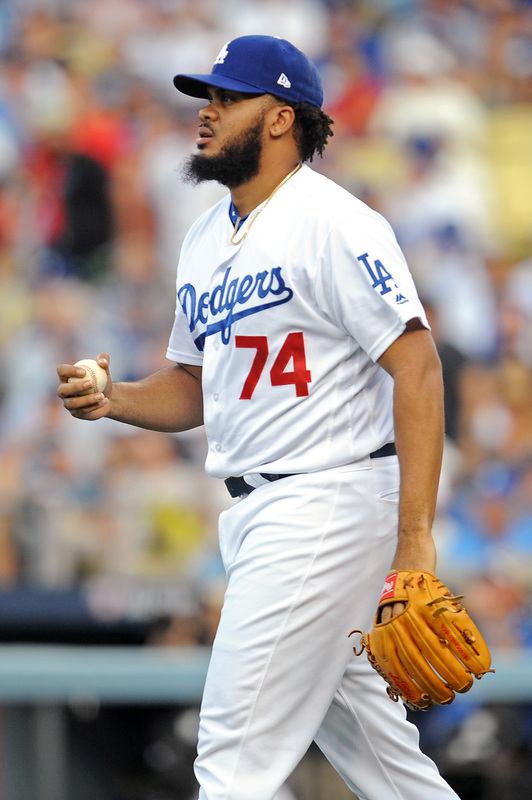 Even though the Dodgers had three of their biggest contributors hitting the open market, the club was remarkably able to re-sign all three of Kenley Jansen, Rich Hill and Justin Turner. Obviously the Dodgers’ financial muscle played a part (not just any team can afford to spend $192MM on three players), though there were no shortage of other suitors in play. Jansen, in particular, was one of the headline names in this winter’s loaded closer market. He drew interest from the Yankees, Giants, Marlins and Nationals, with the former two teams dropping out of the hunt after respectively signing Aroldis Chapman and Mark Melancon. Miami and Washington both reportedly offered Jansen more than the Dodgers’ $80MM offer, though in the end, Jansen decided to stay in a comfortable situation rather than chase a few extra million dollars. Of course, “only” $80MM still represents the second-largest contract ever given to a relief pitcher, topped only by Chapman’s five-year, $86MM deal with the Yankees. The Dodgers also vied with the Marlins and Yankees in the Hill sweepstakes, with the Astros, Rangers, Red Sox and Orioles additionally showing some level of interest in the veteran southpaw. We’ll focus more on Hill in the “Deal Of Note” section. Turner, on the other hand, seemed like he always had his eye on remaining in Dodger blue, and the star third baseman indeed re-signed on a four-year, $64MM deal. Turner has blossomed into one of the game’s best all-around third basemen over his three seasons in L.A., posting 5.6 fWAR in 2016 on the strength of 27 homers and a .275/.339/.493 slash line over 622 plate appearances, plus an outstanding +17.2 UZR/150 and seven Defensive Runs Saved at the hot corner. There is some risk involved in the signing (Turner is entering his age-32 season and 2016 was his first season with more than 126 games played), though on the whole, the deal looks solid, particularly since the Dodgers had a need for right-handed bats. That search for right-handed hitting extended to the Dodgers’ efforts in the second base trade market, as the team was linked to such notable names as the Tigers’ Ian Kinsler and the Twins’ Brian Dozier. It seemed like a deal was close with the Twins since the Dodgers were willing to move Jose De Leon to Minnesota, though talks stalled over what other prospect(s) would be involved in the trade. The Twins wanted at least one of Yadier Alvarez, Walker Buehler or Brock Stewart (all top-eight prospects in the Los Angeles farm system), so facing that heavy price tag, the Dodgers pivoted to another target, acquiring Logan Forsythe from the Rays for De Leon. Forsythe emerged as a capable everyday second baseman over his last two seasons in Tampa Bay, providing solid defense and hitting .273/.347/.444 with 37 homers over 1182 PA. He is also signed to an affordable contract, set to earn $5.75MM in 2017 and available on an $8.5MM club option in 2018. Even with second now spoken for, the Dodgers still brought Chase Utley back on a one-year, $2MM deal. Utley is regarded as an important clubhouse leader and he provides infield depth as a backup at second, third and first base. Franklin Gutierrez was another veteran depth signing who can play all three outfield positions, though his primary role will be as part of a left field platoon with Andrew Toles. Between Utley in the infield and Gutierrez in the outfield, the two will essentially replace the contributions of utilityman Howie Kendrick, who was dealt to the Phillies. Though L.A. has several good bullpen options already on hand, the team added Sergio Romo as a veteran arm to serve as Jansen’s setup man. Romo was limited to just 40 games and 30 2/3 innings last season due to a flexor strain in his left elbow, though he still posted a 2.64 ERA, 4.71 K/BB rate and 9.7 K/9 for the Giants. Romo will help fill the void left by departed free agents Joe Blanton and J.P. Howell. While it seemed like the Dodgers had their three internal free agents atop their offseason wish list, their resources allowed them to explore a number of other potential options. There’s an alternate reality out there where Los Angeles upgrades its rotation by trading for Jose Quintana or Jake Odorizzi instead of re-signing Hill, trades for White Sox third baseman Todd Frazier instead of re-signing Turner and addresses closer by signing Chapman over Jansen. The argument can definitely be made that the Dodgers chose wisely by simply re-signing quality players they were comfortable and familiar with on and off the field. Still, big-ticket free agent signings have been a relatively small part of Friedman and GM Farhan Zaidi’s transactional arsenal since taking over the team’s baseball operations department. Brandon McCarthy, Scott Kazmir and Kendrick were the only free agents signed to multi-year deals in Friedman/Zaidi’s two previous offseasons running the Dodgers, and none of those contracts have provided much return to date. Now, the Dodgers have handed two expensive deals to two players (Hill and Turner) in their 30’s and also committed $86MM to a relief pitcher, albeit an elite one in Jansen. Pursuing a trade-heavy offseason strategy would’ve cost the Dodgers more in prospects, though that could’ve been considered an acceptable loss since the team is clearly in win-now mode. On the flip side, a team with the Dodgers’ resources is less “win now” than “win always,” so making a one-year push isn’t a necessity — a team with a shorter contention window might have added a second or even a third top prospect to land Dozier, for instance. The added salary commitments will further complicate the Dodgers’ attempts to eventually get under the luxury tax limit. While the tax threshold will gradually rise over the five years of the new collective bargaining agreement, harsher penalties are also in place for teams that exceed that limit. For instance, the luxury tax threshold will go up to $197MM in 2018, but L.A. already has over $171.3MM committed to just 10 players for that season. Real salary relief might not come until after 2018 when several big salaries (i.e. Adrian Gonzalez, McCarthy, Kazmir) come off the books, though the Dodgers also face the possibility of Clayton Kershaw opting out of his contract that offseason. The crowded L.A. outfield saw Kendrick and Josh Reddick depart and Gutierrez and depth option Brett Eibner (in a trade with the A’s) added to the mix. The Dodgers’ MLB roster consists of Yasiel Puig, Joc Pederson, Toles, Scott Van Slyke, Trayce Thompson and utilityman Enrique Hernandez available for outfield duty, not to mention Gutierrez and longtime Dodger Andre Ethier on the DL. That’s a lengthy list of names that will need to be accounted for when everyone is healthy, and while several of those players could be simply optioned to Triple-A, players like Thompson or Van Slyke could also be possible trade chips. There was much speculation last fall that the Brewers and Dodgers could revisit talks about a Ryan Braun trade, with Puig and McCarthy mentioned as possible candidates to go to Milwaukee in the deal. Not much seemed to happen on the Braun trade front, however, and while Braun would have carried a big price tag for the Dodgers, he also would’ve brought some stability to the fluid outfield situation. Puig is off to an excellent start in the young 2017 season, though given how inconsistently he performed in 2015-16, the Dodgers can’t yet know if they’ll get another struggling season, a return to Puig’s burgeoning superstar form of 2013-14 or anything in between. It would aid the Dodgers immensely if Puig is able to play at least well enough to hold down a regular everyday job and Pederson can be at least somewhat productive against left-handed pitching. Like the outfield, the L.A. rotation also has a lot of options and the potential for greatness, though little in the way of consistency either performance-wise or health-wise. Even the phenomenal Kershaw can’t be considered a 100 percent lock given that he missed two months last season with a herniated disk. Kershaw, Kenta Maeda and Hill (when healthy) will be the rotation’s top three, with Kazmir, McCarthy, Hyun-Jin Ryu, Alex Wood and Julio Urias in the mix for the final two spots. If injuries continue to be an issue, it couldn’t be surprise if the Dodgers make another deadline move for pitching, be it a mid-rotation piece or a big name like Quintana or the Rays’ Chris Archer or Jake Odorizzi. Over his last 144 1/3 MLB innings, Hill has an even 2.00 ERA to go along with a 10.6 K/9, 4.15 K/BB rate and 46.1% ground ball rate. These are exceptional numbers for any pitcher, especially for one that just turned 37 last month and who looked all the world like a fringe major leaguer when he began this epic run in September 2015. Committing $48MM to a pitcher with those numbers is justifiable, and arguably even a bargain. The risk for the Dodgers, of course, is Hill’s age, the consideration that his career revival will eventually come back to earth, and his health. Hill has a checkered injury history that includes Tommy John surgery, and his 2016 was shortened by a month-long DL stint with a groin strain as well as nagging blister problems. That latter issue has again emerged early in 2017, as Hill is currently on the 10-day DL with a blister on the middle finger of his throwing hand. As noted earlier, the Dodgers don’t have much stability in their starting rotation, and yet the team made a big investment in a pitcher who can’t help but be considered a question mark, regardless of how well Hill has performed when he has been able to take the mound. Los Angeles was reportedly shopping McCarthy and Kazmir this winter, an ominous reminder of how Friedman/Zaidi’s other big free agent pitching signings have quickly gone south. The Dodgers would probably be more than satisfied if Hill was suddenly only two-thirds as good as his recent effectiveness but was able to take the mound every fifth day. For all of the questions that the Dodgers face about injuries or declining veterans, it should be noted that quite a bit went right for the club last year. Corey Seager emerged as a superstar on the rise, Maeda looked very impressive in his first season in North American baseball, Toles came out of nowhere to become a regular contributor, and the team did fall just two games short of the National League pennant. You can’t blame Friedman and company for essentially wanting to replicate the 2016 roster and see if they can run it back, with some new upgrades like Forsythe, Romo and Gutierrez. Essentially probably if they come off the Bellinger ask. But mid season there would most likely multiple options. I think the only part of the team I’m legitimately concerned about is the bullpen, and for a couple of reasons. It’s a top heavy bullpen and we can only really count on Kershaw to go 7 innings. It’s likely to be a heavily used bullpen and I’m not sure how those guys will react to being overworked and tossed into high leverage situations. Only thing that makes me feel better is knowing we have surplus chips on the farm to cash in for a top tier fresh arm at the deadline. I’m hopeful that our starting pitching will develop a rhythm and stay healthy through the summer, but who knows. I sure am glad baseball is back though. Let’s go Dodgers! The bullpen should be fine. Stripling, Stewart, Wood are all dependable and Baez should be back soon, and that’s before you extend the rotation by bringing back Urias in a month or two. And you know the front office will be fluid with the front and middle of the bullpen all season, depending on who is performing. That kind of depth puts no pressure on the organization to force Kazmir into the rotation unless he finds his form at AAA. No team in baseball has that kind of depth, not the Indians, the Cubs or the Nationals. The Dodgers are winning 95+/-, winning the West, and positioning themselves for a deep playoff run. The rest is down to having momentum at the right time and a bit of luck. Agreed, I don’t see huge problems with bullpen and frankly not a lot of small ones either. The less we see of Hatcher, Baez and Avilan the happier I will be, and I hope with all the pitching options the Dodgers have that the FO won’t stick too long with any turkeys, which I felt they did last season. This team is definitely built well for the long haul. As the season wears on we will know better whether they are built equally well for the postseason sprint. Dodgers are choke artists like none other. The deepest they will go with the NLCS again. You shut your mouth, ReverieDays. They set themselves up for a good post season this year. 3 of 4 games against LHP they have lost, 4 of 5 after today’s game against the Cubs. They still can’t hit lefties. Dodger’s offseason was a total failure at this point. They cannot advance in the playoffs if they can’t beat lefties and when you are spending nearly $300 million on player payroll & luxury tax fines anything less than a WS appearance is a huge fail. Oh look pads fans is trying to troll again. They have been ok at hitting LHP. Their issue is not hitting with runners in scoring position. The only game they looked helpless in was vs clayton richard. You are a joke if you think the dodgers offseason is a failure. Turners contract was a steal and they still managed to bring back jansen and hill. You need to specifically name what they could have done differently to have any credibility. .
Not really. They have a 73 wRC+ against lhp good for 23rd in baseball. Last year they were 30th with a 72 wRC+. Granted it is a small sample so far, but they seem to be on a similar pace and it’s not like they are facing great lhp. Gotta hit to cash in on opportunities and the Dodgers just cannot hit LHP. Do you people even watch the games or just look at baseball reference. They were crushing brett anderson today , but could not get a hit with men on base. hit. 1-24 with risp vs the cubs. They had 3 hits in 5 innings off anderson and 4 hits in 6 innings off lester. That’s right around a .200 average. How is it that you don’t see that as a problem? The old, “do you even watch the games” desperation response, nice touch on your poor argument. I never said its not a problem. You are missing the whole point of the article. What in the off season could they have done differently? Who exactly could they have added to fix the problem vs LHP. Oh and im sure you saw the 4 hits that would have been home runs but were knocked down by the wind in the box score. My comment was not about the article on the whole. It was pointing out that your evaluation was incorrect. So no, I’m not missing the point, I’m responding to your poor arguments. You said, “They have been ok at hitting LHP.” which isn’t the case. And 4 hits that would have been hrs? Now you’re truly getting desperate. Apparently you don’t watch the games. The Dodgers had 3 hits off Anderson and he is the Cubs #5 starter. One of them was the ball Schwarber misplayed against the ivy and that was the only hard hit ball against Anderson. The Dodger’s glaring need in the offseason was right hand bats. They got one in the kid from the Rays, but they need at least one more if they are going to compete with teams that can run out two or more lefties like the Cubs did in this series. It’s not about who they re-signed. It’s about who they didn’t trade for or sign. Specifically, more than 1 guy that can hit southpaws. The Dodgers have now lost 4 of 5 against southpaws and done it against mediocre guys. They are hitting .200 against them with an OPS around .600. PadsFans is correct in saying that the Dodgers are a failure if they don’t go to the Series and if you can’t hit lefties, that won’t happen. Sorry Doggerfan71 re-signing a 32 year old Turner, signing a 37 year old Hill who can’t even stay healthy for 2 starts in a row, and re-signing a $17 million closer is not smart baseball, nor does it make it a good offseason foor the Dodgers. The Dodgers needed 2 RHB with pop and to get younger. They failed on both counts. Save your breath. The trolls are out in force today. Explain to me again why the Dodgers needed to get younger? Honest question. They have three in the OF ranging 25-26. They have a SS at 23. They have three kids on the farm at 21-22 knocking on the door. Thats even before mentioning the young arms littered in the system. Seems to me the youth department is covered pretty well. The dodgers had a tremendous offseason regardless of what you think of the logic. Because at the end of the day those are three major assets they didn’t have to trade for and I’m not sure there were better options available, at least in Turner and Jansen. Sure is it sound logic for most baseball teams probably not, but when you have an extensive tv contract and 4 mill in attendance year in year out sometimes those moves just have to be made. In no way was this offseason anything less than A. Realistic Dodger fans understood that Puig was going to get the chance to sink or swim. Forsythe has provided what he was supposed against LH and the flexibility this organization values. Seems to me they did everything to obtain pieces that were realistically available. So they most likely are a piece away, but not such a substantial piece that can’t be obtained at the deadline. It’s way too early to even consider judging. Tip you hats Richard’s sinker was filthy, Freelans was first time through, and Lester is Lester. The dodgers drilled the ball today in the early innings and they didn’t fall. It’s baseball. What was more concerning was RISP throughout the series. Be it from a terrible approach from Toles against Grimm to a Puig that continues to look lost to anything close to the zone that’s not center cut. Position players peak at 26-29 years old and start to decline in their age 30 season. He is two years past that. I can pretty much guarantee that he will not be as good this season as he was last and next season he will decline further and decline even further the 2 years after that. Signing 32 year old players to 4 year deals is not smart baseball. 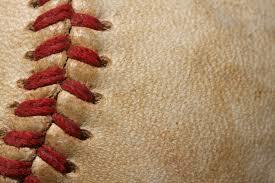 That you don’t understand that says volumes about your knowledge of baseball. Gutierrez is 34 years old, he is hitting .231 this year and hit .246 last season, he is pretty much only a platoon player, and he is on the DL. Forsythe is a good player, but he is 30 years old and was never a superstar. Just a solid regular with injury problems. He is not enough. The Dodgers have the arms and legs to get good young players. They chose to sign older players to large contracts and trade for a 30 year old 2B with only one season with over 120 starts in his 7 year career. I am an Orioles fan so I have no dog in this fight between you and the Padres fans, but they are on the money about older players not being worth the money. I have never seen a 4 or more year contract with a guy over 30 that paid off in the last 2-3 years of the deal. Fangraphs did a great piece on the aging of players a while back and while I don’t remember the exact numbers, it was close to a 10% decline in offense and an even higher decline in defensive numbers after they turn 30. To give a guy that had his peak year at age 29 and two straight seasons with declining BA, OBP, OPS, and OPS+ a 4 year deal for $64 million does not seem like a smart move to me. Maybe if my team had as much money as the Dodgers I could see them paying $16 million per season for declining production. Like every team the Dodgers need to get younger because players decline as they age. The Dodgers infielders are 35, 30, 23 and 32. 3 of the 4 are in decline. In the OF, neither Toles nor Pederson are every day starters on most teams. Pederson plays great defense, but is picking up right where he left off last season in terms of poor BA and SO%. Toles is a good young player, but he really has no power and is best suited to be a 4th OF. In my opinion, what the Dodgers needed was Dozier and another RHB with power. They can’t rely on prospects like Bellinger and Calhoun to save the day because they are prospects. You have no idea how they will do once they reach the majors. Just ask the Twins or Rangers about “can’t miss” prospects. I read somewhere that top 100 prospects make the majors as a regular about 20% of the time. Not be a star, just play. There are alot of chicken farms out here in my area of North Carolina, so I here this truth often, don’t count your chickens before they hatch. What are you talking about? There is no team in MLB with 3 OF better than Joc Pederson. He is a starter on every team in baseball and the best outfielder on many of them, including the Orioles. To put it in perspective, he is Adam Jones without all of those outs that Adam Jones makes by swinging at everything. The issue still remains as you said all teams are attempting to get younger. Stands to reason that teams would be less inclined to trade said younger players. So the assertion that the Dodgers made terrible signings just because of age is just a bad take until you can provide a significant upgrade that was reasonably available that they should or could have made. Also on that end of the argument with the league getting younger it stands to reason that you have to rely on their farm. 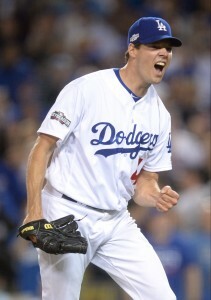 With Dodger fans being realistic they’ll admit year 4 and year 3 of Hill’s contract will probably not end well. The problem again doesn’t not rely on their signings especially when you consider the needs v availability aspect. But the underlying theme here is still that the Dodgers are in win now mode with two years of Kersh before he opts out. So when it comes down to it the Dodgers have the pieces available for one blockbuster trade while still supplanting their MLB roster with youth. My point being that all this getting younger and completely refacing the roster was never going to suddenly just change and it shouldn’t unless they are in rebuild/ tear down mode. But thank you Pads Fan for again knowing the Dodgers and the game so much more than I could ever know. The persistent problem with all of this analysis is the use of value propositions as a guide to signing players. A team can make a cost-effective run at third place, but winning will never be efficient, especially if ownership is committed to fielding competitive teams on a regular basis. Hill for example was the best free agent starter available this year. What is the alternative to paying him more than he is “worth,” other than going after someone who isn’t as good for less? Call it extravagance if you like but the Dodgers have that kind of cash to burn. If you are saying it’s unfair that a handful of teams will always have far more cash to burn, then I will agree with you, but we also have to agree, that’s the way it is in baseball, and no amount of cost-effectiveness analysis will change it. Jose Bautista, Matt Holliday, Barry Bonds and like 50 others. Lots of 4 year deals after 30 work out great for the team. Are you high? We have a youth wave coming, but established veterans aren’t as bad as you claim. If you know the Dodgers, you know that Turner is a late bloomer. He doesn’t have the normal mileage of a regular 32 year old and he signed for 4 years instead of 5. For top tier defense and a middle of the order bat, that’s a good contract. Jansen has an opt out in his contract so he might only be a 3 year sign. Is that good? 3 years of a established top of the line closer at market value? 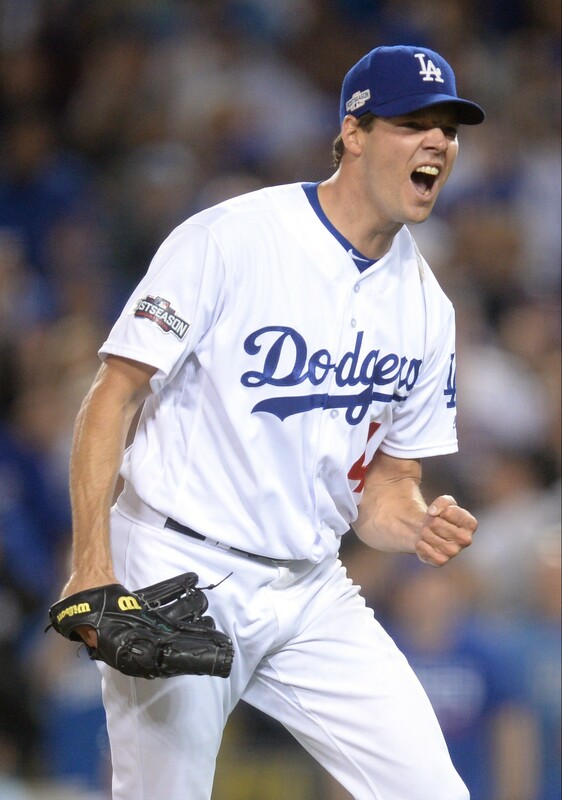 Rich Hill is 37. Ok, you got me. But he’s pitching almost a sub 2 ERA for the last year and a half. How is that not good? Stop the trolling. Find a new passion in life. I’ve been a tough grader on this FO in the past, but I gave them an A for this offseason. It’s difficult to imagine them making many if any better moves than what we got. Somebody is bound to say they missed out on Dozier but clearly the price was too tall and Forsythe is hardly just a door prize. One little wrinkle in this roster that surprised me and I have not heard anyone mention yet is the rotation order. On paper Hill was signed to be #2 as he was last year, and Maeda looked to be #3 or perhaps lower. Mangement had Maeda work on muscle mass over the offseason. They must like what they’ve seen from his program of building durability to have made this adjustment. They are definitely projecting more innings from him. The FO likes Maeda just fine, but I think Hill is our #3 to separate the two lefties up top more so than one of our pitchers being better than him. I think last year was a great introduction to MLB for Kenta and I hope he builds on that this year. I considered that too but don’t know how the theory of not having lefties start on consecutive days really plays out. The FO didn’t seem to have a problem with it last season so I don’t see where they subscribe to this theory. What they needed from Maeda was more durability. In the offseason he put on quite a bit of weight and muscle mass. Did they not have a problem with it or was it was not much they could do about it? I’m leaning latter. Numbers don’t matter until the playoffs, but I think with Maeda they were just trying to line up with as many extra off days last year. I dunno but if they were trying to get him days off last season it didn’t work. He started 32 games. That’s a full dance card no matter how you cut it. The other aspect of this is Maeda had a better spring training than Hill so perhaps they saw that as playing the better hand, and for now at least it probably is. The Dodgers, if they stay healthy (always an IF) are well-positioned for deadline moves to construct an even better roster. They could move a number of players who have legit trade value to other clubs. Any of Puig, Gonzalez, Utley, Thompson, Van Slyke, Hernandez, Pederson, Ethier & Toles could fetch valuable and/or needed pieces for a stretch run without hurting depth. And that’s not talking about any pitchers that might fit in that group such as Ryu, McCarthy, Wood or Kazmir . Friedman & Zaidi are smart & come July 31 (or sooner if they want Braun) they have quality MLB pieces to move, perhaps without having to trade Urias, Alvarez, Buehler or Stewart. If they don’t make any trades of these guys, they still have a good team. But a quality right-handed bat or two seems like a need right now. I like their position at this point in the season, looking ahead. I think you might expect some disagreement with that statement. The last seven, at least, have little trade value. And I doubt they’d get rid of Adrian Gonzalez. And if Puig doesn’t perform, he’ll have little value; if he does turn it around, they’ll keep him. Gonzalez, Ethier and Utley have little trade value due to age and/or contract or both. Van Slyke, Toles, and Thompson all fill niche roles the Dodgers need them for and provide little trade value. It would take a massive package to get Pederson and that would create a hole that would have to be filled. Puig…?The next 60 days will determine his value. I think we will continue getting what we already see with Puig. He will show flashes of brilliance, at least defensively, and be frustratingly un-selective at the plate and never a good baserunner. He doesn’t have to become his rookie self again to be a keeper, but it’s probably too late to think of him as the cornerstone of any team. Yasiel Puig is 26 years old… how is that too late for anything. He still has a high ceiling in front of him. I hope we keep him and I hope he puts it all together.